We purchased these from the grand daughter of the original owner who had owned them since the mid 1960s. 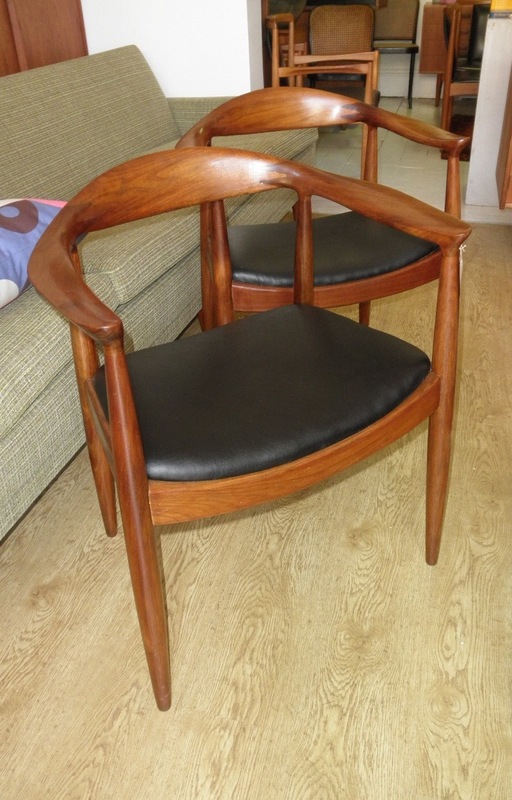 These chairs are made in Australia from blackwood and depending on who you speak to made under licence from Wegner. 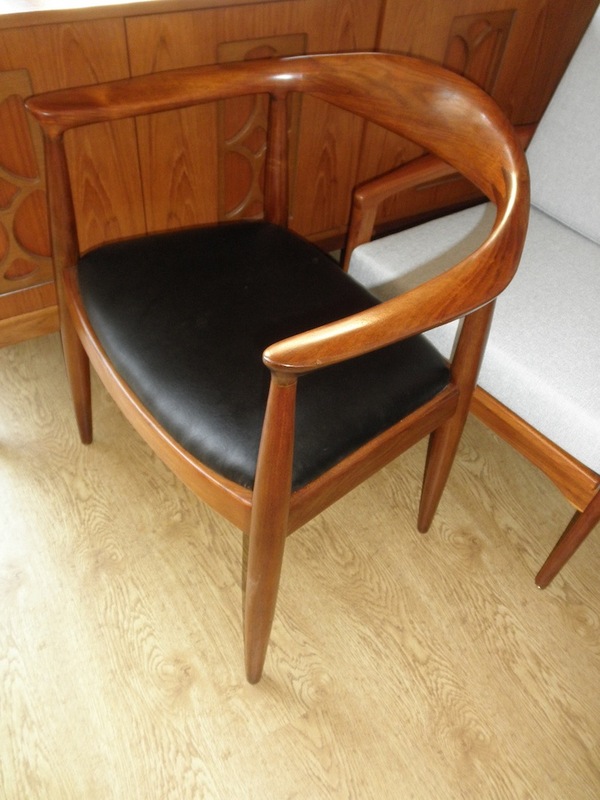 There are even rumours that Hans Wegner himself was involved in setting up the Danish Deluxe factories in Melbourne either way these chairs have the patina of age that new cheap copies and ridiculously expensive licensed ones don’t. And at $7500 to $10000 each depending on timber, finish and upholstery for new ones these are a little easier on the pocket too. And unlike the chinese copies you will still be able to hand them down to your grand children.